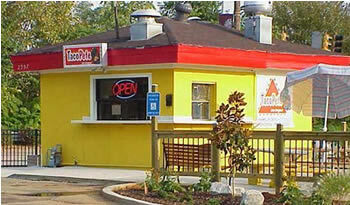 Taco Pete opened its doors in Downtown East Point in 2006, just two blocks from the East Point MARTA Train Station. 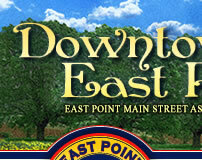 The owner, Reo Pagan Jr., felt this was the perfect location to provide the community with great food and service. Taco Pete originally started in Los Angeles, CA in 1966 by Reo Pagan, Sr. Reo Sr. decided to name the business 'Taco Pete' instead of Taco Reo, because all of his closest friends called him "PETE." The name stuck and he eventually opened many more locations and Taco Pete became a household name in the LA area. The locations thrived and their claim to fame was that they produced the best tacos, burritos, fries, burgers and pastrami in the area. Reo Sr. retired from the business and moved to Atlanta and Reo Pagan, Jr. followed and soon after opened Taco Pete LA's Original in East Point. A little know fact is that the original Taco Pete was started by Reo Pagan Sr. in Los Angeles, CA in 1966! 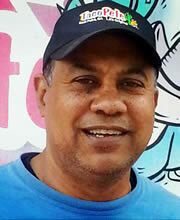 It was so successful there that when the son, Reo Pagan, Jr. moved to the Atlanta area, he quickly realized a location was needed here, so he opened one in Downtown East Point in 2006. 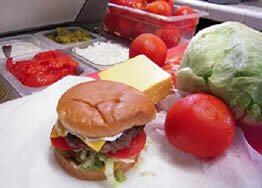 Taco Pete prides itself on offering its patrons delicious food prepared with fresh produce and quality meats. They have become a favorite for lunch and dinner and patrons travel from all over the metro area to experience their food and enjoy a good laugh with the staff who treats them like family.